Not sure what to wear on Christmas Day? 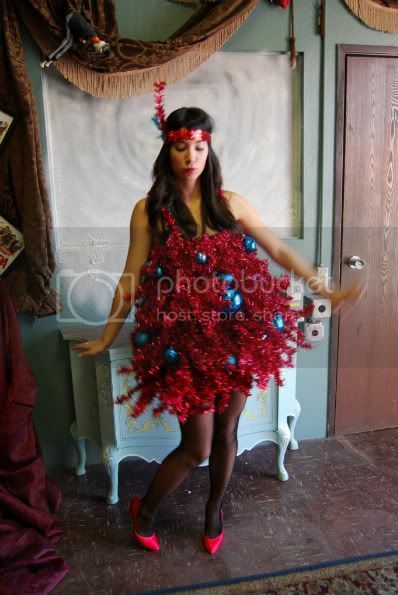 Check out these Christmas tree dresses! Logistics aside, these dresses are stunning. I'm loving this one, you know I love red... and girlfriend managed to actually wear it and dance in it. She rocks! Wow, talk about a statement necklace! I'm enjoying the color explosion on this dress and the peacock feathers. Would you wear something like this? I know I would. I want to make one for my manequin, Living Room Lucy. How do I go about it? I have garlands and hoops for hoop skirts. Any suggestions? I am quite handy, I have lots of embellishments, just need a little push in the right direction. Thanks. I found those on Pinterest. Her's a link to get you some ideas. http://www.pinterest.com/search/pins/?q=Christmas%20tree%20fashion%20dress%20form&term_meta%5B%5D=Christmas%7Ctyped&term_meta%5B%5D=tree%7Ctyped&term_meta%5B%5D=fashion%7Ctyped&term_meta%5B%5D=dress+form%7Cguide%7Cword%7C10&add_refine=dress+form%7Cguide%7Cword%7C10. Good luck! It is the great idea for Halloween Holiday. nice to follow it. 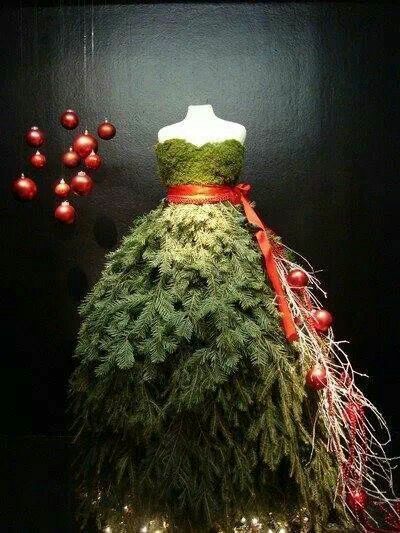 I've started looking for old xmas tree that I can convert to a dress. Hopefully, I'll find one soon. Wish me luck! I likes your article... really good work thanks to share with us your information.....(Y).